Single-cell genomics is an emerging field of study that promises to change the way we look at developmental and disease biology. Until now DNA, RNA and epigenetic changes have been investigated using millions of cells, but we will soon be able to look at individual cells. The challenges of understanding just what is happening in genes on a single-cell level have held back progress in this field. This is because the quantity of genetic data in just one cell is minuscule. The sequencing data gathered from these tiny samples produce ‘noise’ that can distract from what’s really going on in the cell. However, a study published in Nature Methods this week reveals a computational solution that paves the way for further research on molecular biology’s new frontier. The study ‘Accounting for technical noise in single-cell RNA-seq experiments’ is the first to use primary data generated by the Single Cell Genomics Centre (SCGC), a joint venture between the Wellcome Trust Sanger Institute and the European Bioinformatics Institute (EMBL-EBI). 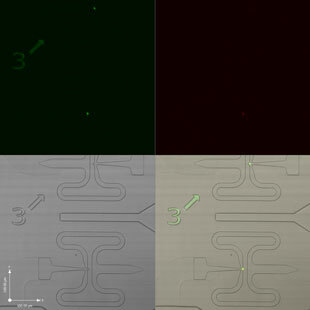 The SCGC has a Fluidigm C1 microfluidics system, which was used in this study to sequence mouse immune cells. The results were combined with data from plant cells sequenced at the European Molecular Biology Laboratory (EMBL) in Heidelberg, Germany, and analysed using a quantitative statistical method that distinguishes true biological variability from technical noise. The researchers found significant variation across the cells when they combined the new technologies and computational methods. Once they had cut out the technical noise, they realised that there were many signals that were not noise at all. For instance, they found 1,198 variations across 91 differentiating cells from the mouse immune system, and 876 variations across seven GL2 plant cells. The varying genes in the mouse immune cells reflect the two parallel processes of proliferation and differentiation occurring simultaneously in these cells, while the variations in the plant cells are more of a mystery. It is hoped that the centre will soon begin to uncover the impact of genetic variability and gene expression on individual cells and different cell types in order to achieve a more profound understanding of biological systems. The researchers hope their findings will lead to practical insights into growth, repair and the development of disease. Mary Clarke is a member of the Media, PR and Communications team at the Sanger Institute. Which bacterium is it anyway? December 24, 2014 Communications Team Comments Off on Which bacterium is it anyway?